Being beginners in electrical engineering, we didn't know the difference in AC/DC wiring and that we needed to use a relay switch for the arduino. Thanks to the great mentors over at Prudential and Brent from MLH, we finally got it working. Learning Android API and PHP. Some of our developers spent their time working and learning the Android API and PHP in order to create the app and run the web server. We ran into some troubles such as connecting the arduino to the app, but in the end, we prevailed after intense googling and stack overflow sessions. Determining how to communicate between Arduino and android. This was a challenge that took our android dev some time because our arduino didn't have an ethernet or bluetooth shield. We eventually solved it through hours of blood sweat and tears. 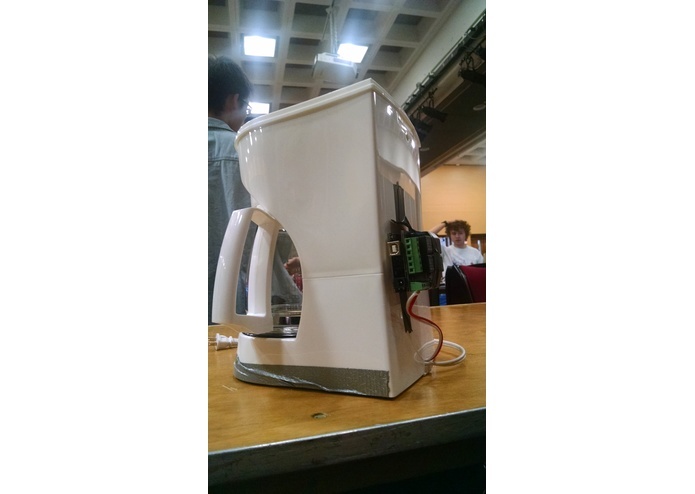 Our fullstack dev, Srihari, learned the inside and out of the android API and how to connect arduino to android effortlessly using a PHP server on a machine that talks to the arduino using HTTP post requests. Our beginning developer, Jenn, learned about teamwork and python while also helping out on the testing side of things. Our web dev and hardware apprentice, Srikant, learned C, java, and bootstrap while creating a website and helping out on the arduino. Also, he learned about electrical engineering and android by assisting his fellow developers. Huge shoutout to the Prudential devs and Brent from MLH, without their help we woudn't have been able to create a good final product. Although I was initially intimidated at my first Hackathon, I realized that HackRU has exposed me to the dynamic field of computer science. In creating Aifred, I learned basic programming and hardware hacking with the help of my amazing and supportive friends. It is still mind-boggling how everything is so perfectly interconnected. As an intended premed major, this Hackathon has really opened my eyes and allowed me to explore new interests. I'm super excited to learn more! 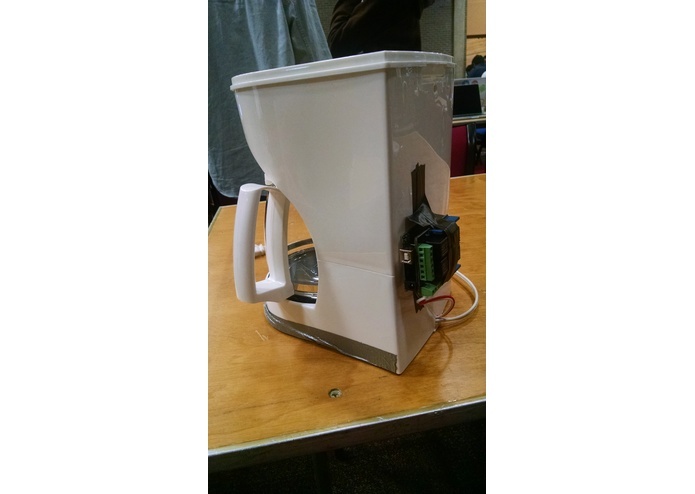 I hacked the coffee machine to work wireless with the use of an arduino and a relay shield. I also acted as a project manager for the very eclectic parts of our app, ranging from a website to an android app, to an actual coffee machine!